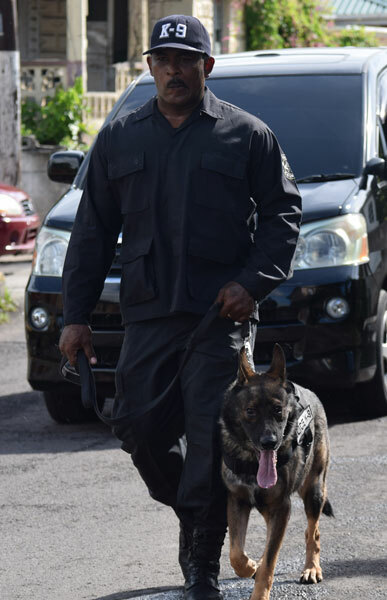 Basseterre, St. Kitts, May 15, 2017 (RSCNPF): The Royal St. Christopher and Nevis Police Force showed its resolve in the continued fight against crime with the execution of a number of Search Warrants on several of properties in St. Kitts and Nevis during the last days. The Search Warrants were executed on properties of persons believed to be involved in criminal enterprise and were executed in search of Illegal Firearms and Ammunition, Illegal Drugs and other instruments that can be used in the commission of Crime. One firearm was seized during one search in Cayon, while small quantities of marijuana and other contraband were seized in at other locations. A search on Prickley Pear Alley netted a number of electronic items believed to be stolen. The items were seized for matching.